B. Thomas (Arlington, Texas, United States) on 17 September 2018 in Plant & Nature. This seed pod was open the the seeds were flying away on the wind. It is unique sight to me. Wonderful and poetic. Bravo Barbara, j'adore! Une plante nommée perruche ici la meme dans mes archives. @tataray: I did not know the name. Interesting. Excellent image . . the endless wonders of Nature. Fantastic image, fine use of focus. Wonderfully placed within the frame; an excellent nature image. The milkweed seed pod. I remember them well. A very lovely image. 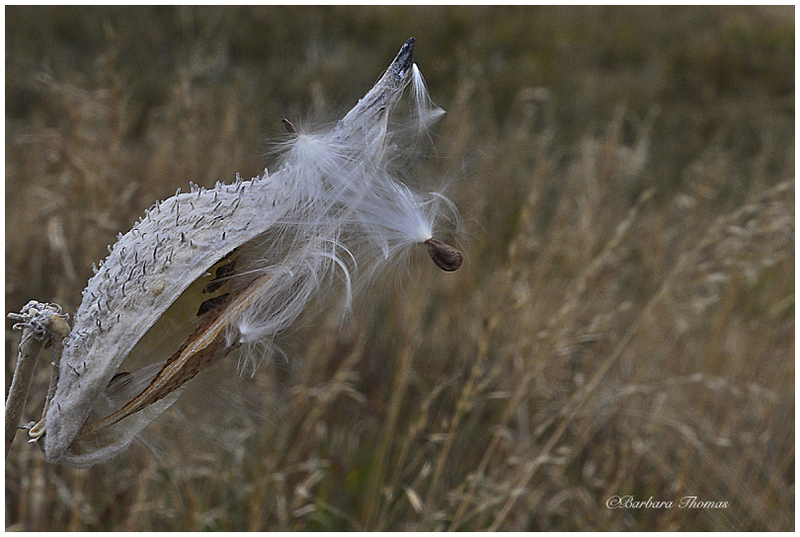 Great capture of this milkweed seed pod!! I always wondered how they're able to fly away with seeds that look so large and heavy. :-) And its amazing how many seeds each pod contains. Very nice! Our milkweed pods have not yet opened (Pennsylvania).